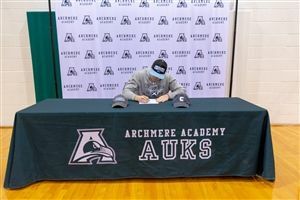 Mitchell Moyer, senior at Archmere Academy, signed his letter of intent to join Columbia University’s football team on February 6, 2019. Columbia University is a Division 1 athletic program located in New York City, NY. A multi-sport athlete since freshman year, Mitch has been a standout on both the football and lacrosse fields. This fall, Mitch’s football honors include First Team All-State Defensive End and First Team All-State Offensive Guard. He was also named First Team All Diamond State Conference Defensive Tackle and Offensive Guard as well as Diamond State Conference Lineman of the Year. Mitch received the 2018 DeLucia Sportsmanship Award and was a recipient of the Mini-Maxwell Club Award. In addition, he was ranked by the News Journal as one of the top ten high school football players in the state. USA Today also listed Mitch as First Team All-Delaware Offensive Guard. His accolades last fall included First Team Offensive Tackle and Defensive Tackle, as well as the Defensive Player of the Year in the Diamond State Athletic Conference. This summer, Mitch will participate in the annual DFRC Blue-Gold All-Star game as a member of the Blue team. 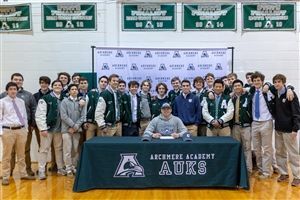 Following in a long line of multi-sport athletes at Archmere, Mitch is also a two-time Delaware Lacrosse All-State selection and a 2018 U.S. Lacrosse All-American. 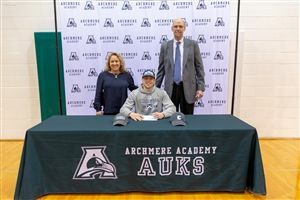 Mitch has been working hard during the off season, preparing to help the Archmere Lacrosse team make another run in the Delaware State Lacrosse Tournament this spring. 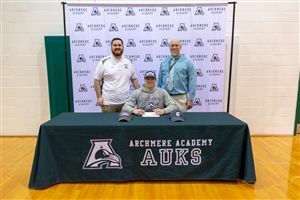 Mitch would like to thank both the Archmere football and lacrosse coaching staffs and the Archmere trainers and managers for their consistent support and guidance during his high school career. In addition, Mitch extends his gratitude to the coaches at Titus Sports Academy who provided him with the tools necessary to improve and excel as an athlete. 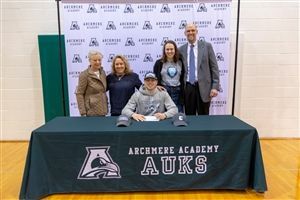 Mitch would also like to thank his parents, sister, and grandmother for their continued support in his athletic and academic career. 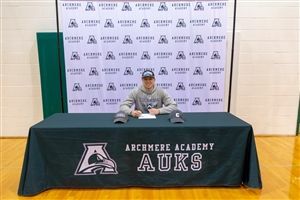 Finally, Mitch would like to thank his teammates for their hard work and support throughout his time at Archmere.